Simple2Web – Very Affordable Websites. Web Presence $279 This package offers 4 pages and a blog that you can update on your computer or with a smart phone. It also connects you with your customers by letting them know you’re here to meet their needs. Great for events and businesses who want a web presence and are just getting started. Small Business $400-500 You’ve got more to your business than a few pages can describe. Features like selling your wares or taking orders and other customer input all through your website. This option can list products and services and even handle order-taking over the web. Established Business $800-$1,000 Your products and services are diverse and you can see the web presence being a big part of your business. 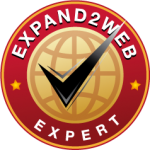 Regardless of the package, Simple2Web will help you meet your web needs and keep you on budget. All our websites include result tracking and Google smart design, which means people can find you. Simple2Web is a website design firm based in Eau Claire, WI and is able to create your website regardless of where you are located.